Watch the video with instructions: Kefir Preparation. 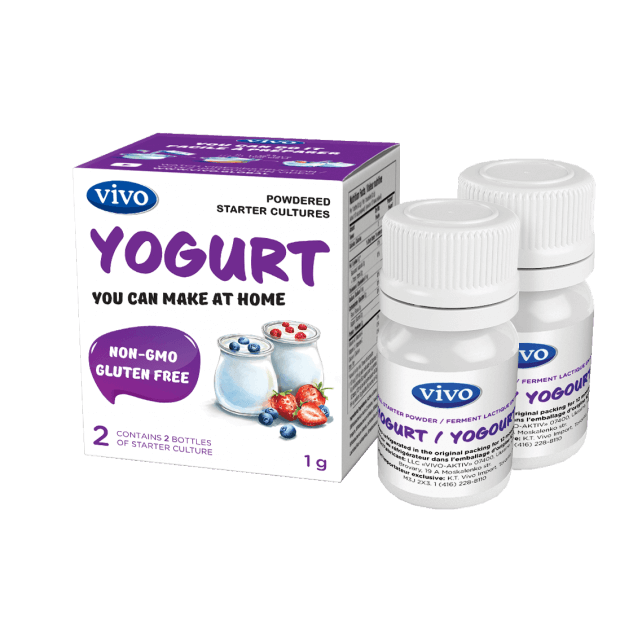 Use the VIVO Kefir starter culture for kefir preparation. Unlike yogurt, kefir is ripened at a lower temperature. The optimum temperature for kefir fermentation is: 22-30°C. The homemade kefir can be prepared at the room temperature, provided that it is not below +22°C. The higher the fermentation temperature is, the faster kefir is ready for consumption. It can be ready within 20-24 hours at the room temperature (22-24°C). Kefir can be made in a multi-cooker or yogurt maker which has a “kefir” mode or direct temperature selection. Apart from that, the preparation of kefir is not different from the preparation of yogurt in a yogurt maker or in a multi-cooker. Before adding the starter cultures make sure that the milk has a room temperature! 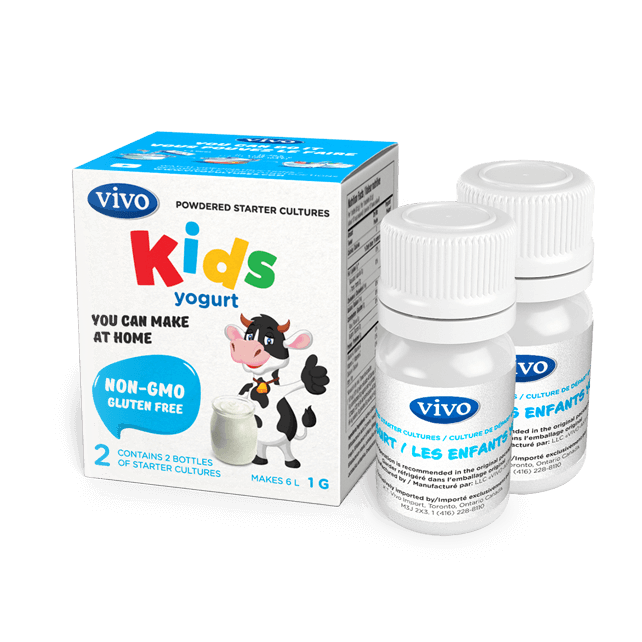 2 Add the VIVO Kefir starter culture into the milk. Stir thoroughly. One bottle will do for ripening up to 3 litres of milk. You can prepare kefir in the original milk package (it is convenient, no need to wash the dishes) or pour the milk into the other pot for ripening (the pot should be clean, it is recommended to treat it with boiling water). Leave the mixture for ripening on the top of the kitchen counter. You can leave the milk with the starter culture in the closet or in the oven that is turned off. The mixture temperature should not drop below 22°C. The fermentation time of kefir is 20-24 hours. The thickened product needs to be thoroughly stirred and placed in the refrigerator for cooling and maturation. The best taste is achieved within a day, but you can consume the product immediately after cooling. 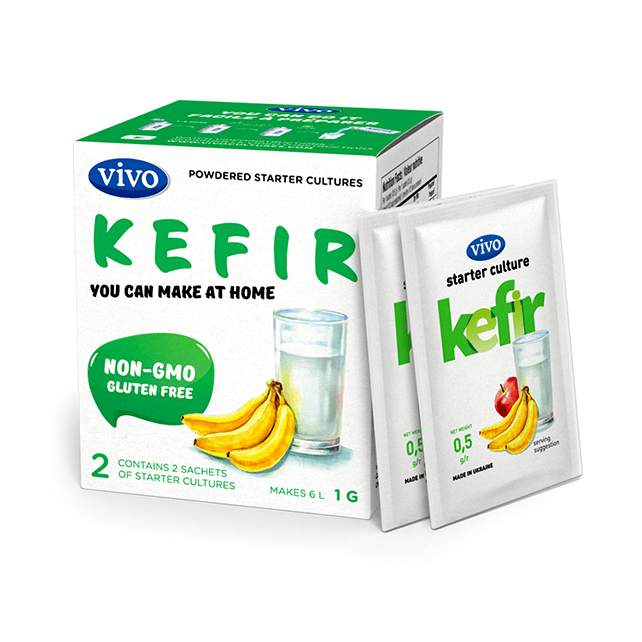 The shelf life of a ready-to-use kefir is up to 5 days.